The pop-up exhibit is very close to its public showcase. Sarah, a 12th grader from the Youth Design Team at the Field Museum, shares an update on what she and the rest of the teens are up to this week. The Youth Design Team has been incredibly busy as we continue working on our HumaNature pop-up exhibit. Each member of the Youth Design Team has been hard at work, making every minute in class count. We have made a lot of progress over the last few weeks and are excited for the upcoming completion of our exhibit. The Content Team continues to work hard, faced with the challenge of editing and refining all of the information for our exhibit panels. There are so many fascinating facts they would love to include, but sadly there is a limited amount of space available. The Content Team has also been working closely with the Design Team so our exhibit will have the look and feel we all want. I’m a member of the Design Team. We have made a lot of progress, trying to meet all the deadlines set for the exhibit. In the last few weeks we’ve finalized a logo, a color scheme, and a solid layout of the panels. I have to say that we’ve really enjoyed learning how to make the content and design come into one exhibit that seamlessly flows together. A really exciting design decision we made was to have one of the Design Team members sketch all of the graphic images for the panels, which adds the perfect touch. We are all very happy to work together and have learned to enhance each other’s skills. I have to admit, however, that working with Adobe Illustrator is no easy task for us and sure has been an interesting learning process! The Social Outreach Team is also as busy! They have been working on their ad campaign, using websites such as Facebook and Twitter as their tools. We even got a shout out from SUE the T.rex on Twitter! How cool is it that an extinct dinosaur is excited about our pop-up exhibit? The Video Production team has a lot of work ahead of them. There might be a sneak peek of the videos coming up, so stay tuned! The Interactives and Production Teams have also been working hard together and making games that will test your brain, so be prepared! 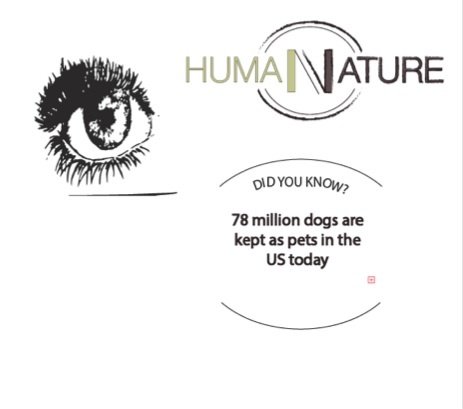 Everyone is excited to see HumaNature come together and cannot wait to reveal it to the public on March 21st. It has been great to see everyone get along and enjoy being together while they work. Even in the middle of hectic deadlines we find time to help and support each other, which will definitely show in our exhibit. There is no time to rest though, as everyone is trying to meet their next deadline!